Last week on the blog I covered the four jackets you need to update your work wardrobe and this week it's all about the five key trouser styles to refresh your wardrobe for spring. Lots of clothes but nothing to wear? Pulling outfits together can be HUGE source of frustration and it feels more annoying when you have tons of clothes yet can't still create good outfits. It's because so often people buy items for their wardrobe randomly whilst passing a shop at lunchtime and not thinking how it's going to fit in to their current wardrobe. The result is a fragmented wardrobe and daily frustration but it can be easily fixed! Some people buy too many basics and others have too much tailoring and not the right basics, it's about a good mix and it definitely doesn't need to be complicated. This outfit below looks great because it's made up of simple separates that work well together; the bright red handbag lifts the neutral pallette. It's on the casual side of smart/casual but swap the leopard trainers for some heels and it will be on the smarter side. By getting the right tailoring in your wardrobe and the odd trend piece you'll have a good mix and it will be easy to build outfits. The jackets mentioned on the blog last week plus these trousers are 'on-trend' for 2018. Not all of these trousers will suit everyone's tastes so choose the style that suits you - I know some people will find leather trousers too racy and others wouldn't dream of wearing the current sporty style. Whistles seem to have ALL TASTES covered this season so everything here is from there. If you're a bit more experimental and like to try out different looks then invest on all five of these and you'll be sorted for the whole year! 1. Heritage check cropped trousers - Heritage check looks really good with red so team these with red shoes or a simple red cashmere jumper and make it pop. 3. Side stripe trousers - the epitome of smart/casual, smart leisure trousers! These look great with killer heels and a slouchy jumper. 4. 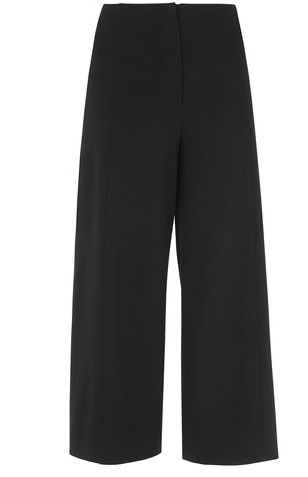 Classic black crepe trousers - these hang really nicely on lots of different body shapes. Whistles do them each season. 5. 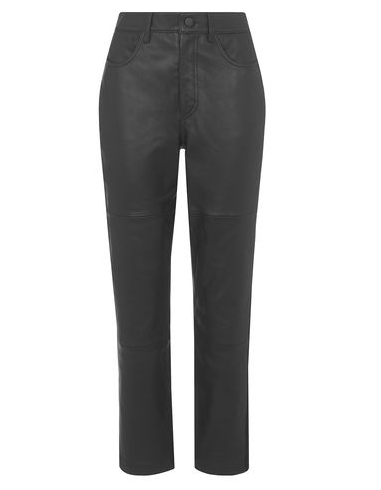 Leather trousers, or leggings (under a long jumper) look incredibly smart. If you pair these with classic pieces like a smart blazer and black suede court shoes they will look really polished and cool :). Lisa Gillbe is a personal shopper and stylist based in London. We are taking bookings now for Spring wardrobe edit's and personal shopping so if you want a wardrobe an style upgrade get in touch for a chat!